This super comfortable, German engineered, fully equipped e-commuter bike is designed to take the strain out of cycling, leaving you to enjoy the freedom and the fun. 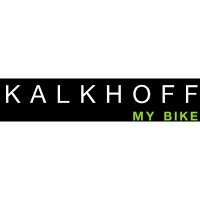 Impulse Evo is Kalkhoff's own Centre Drive system, designed and manufactured in Germany where Kalkhoff are respected as the number one manufacturer of electric trekking/hybrid bikes. That's a significant accolade when you consider that Germany is Europe's biggest, fastest growing and most discerning eBike market. The Impulse Evo drive unit is mounted at bottom bracket level (the strongest part of any bike) to power the crank along with this the motor has a built in shifter sensor which cuts the power when shifting to relieve stress on the motor for a longer life span!